I'm not going to lie to you. The market is U-G-L-Y today. But it's not 2008-esque awful. In fact, there are even a couple of dozen stocks in the S&P 500 that have avoided the Brexit bear. Gold miner Newmont (NEM) was up 5% as the price of the yellow metal surged due to Brexit fears. Other so-called safe haven stocks were rallying too. The Marlboro Man wasn't worrying about the U.K.'s shocking vote to leave the European Union. Cigarette king Altria (MO) rose 1%. Rival Reynolds American (RAI) was up as well. Several food stocks were rallying too, including SPAM maker Hormel (HRL) (cue the Monty Python! ), Tyson Foods (TSN), Hershey (HSY) and supermarket chain Kroger (KR). Other notable winners? CMS Energy (CMS), ConEd (ED), Xcel (XEL) and other big electric utilities were all rallying. So were a bunch of real estate investment trusts. Walmart (WMT) and Verizon (VZ) were the best performers in the Dow Friday -- but all they could manage to do was end the day flat. Most of these companies are in industries that tend to hold up better than other more cyclical ones like tech, banks, oil and apparel retail. Many of Friday's market leaders also pay healthy dividends, which makes them like catnip for conservative investors looking for a steady income payment. With government bond yields around the world so low, these stocks are even more attractive. "The market is really concerned about the uncertainty. So the flight to quality makes sense," said Tony Bedikian, head of global markets for Citizens Bank. "Bonds and blue chip dividend stocks are performing okay. Safer investments are doing better." But can this last? Before the Brexit vote, investors had been moving back into sexier growth stocks. The hope was that the U.S. economy would hold up better than the rest of the world. Why buy a boring utility when you could own Amazon (AMZN) or Facebook (FB)? These companies could come back into favor though. 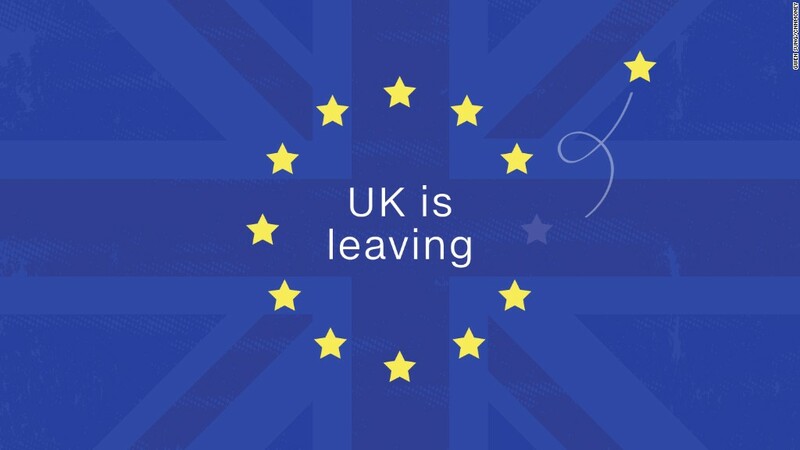 Albert Brenner, director of asset allocation strategy at People's United Wealth Management, said the market slump Friday had more to do with so many people making a bad short-term bet on Brexit than any serious change in the outlook for U.S. stocks. "I'm not aware of any panicked calls coming in yet about the market," Brenner said. "But there clearly will be volatility. Investors were expecting 'Remain' to win and there's a consequence to being wrong." That's why Brenner thinks it might be a good time to buy some of the stocks that were getting hit hard Friday, instead of betting more on gold, utilities and consumer staples. The stocks that had been leading the market before Brexit could find themselves outperforming again. But investors will need to be patient. "There really is no need to be more defensive right now. This could be a buying opportunity. But you have to have the stomach for more losses in the short-term," he said.